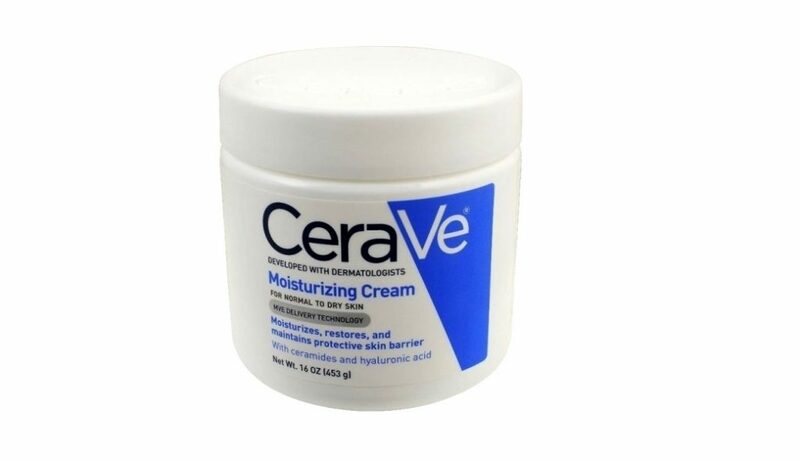 The CeraVe Moisturizing Cream claims it will provide long lasting skin hydration which won’t clog pores, irritate sensitive skin or feel greasy. 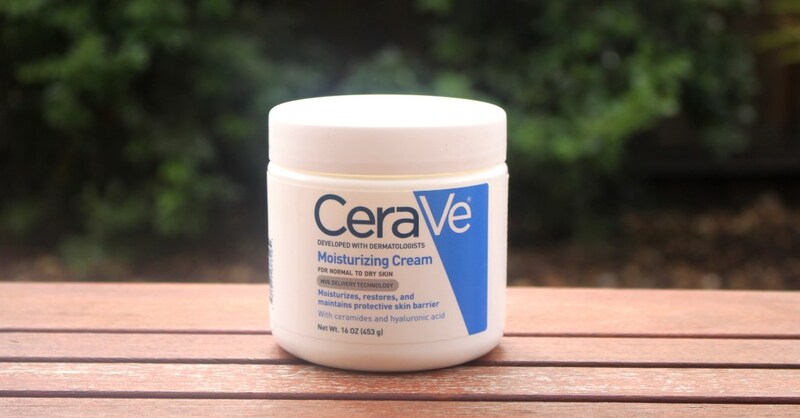 Just like all CeraVe products, this moisturizing cream contains ceramides (three essential ones in this case – Ceramide 3, Ceramide 6-II and Ceramide 1) which help to restore and maintain the skin’s natural protective barrier. As we age, naturally occurring ceramides in our cells become less effective at achieving hydrated and supple skin and keeping wrinkles at bay. 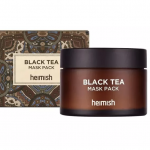 This cream aims to reinforce this supply and in doing so, fortify the skin’s natural barrier and thus increase hydration in an attempt to leave it looking more smooth and youthful. 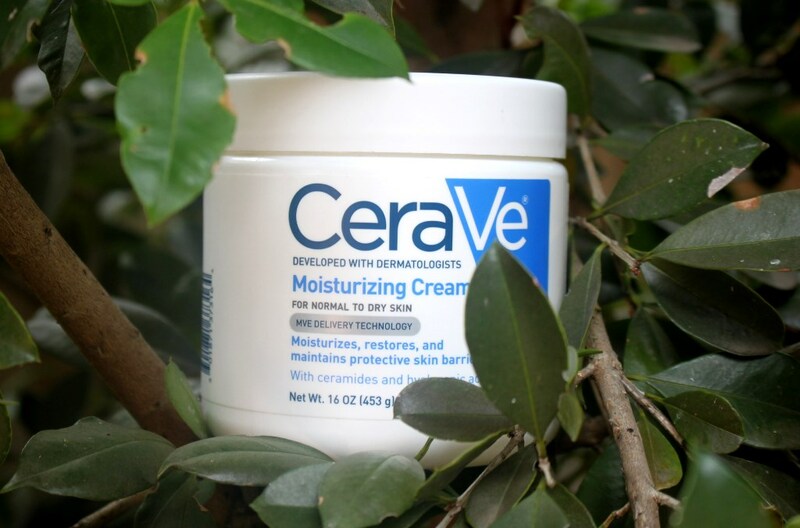 Furthermore, ceramides have proven effective at fighting symptoms of eczema, hence the cream’s endorsement by the US National Eczema Association. CeraVe also has a patented MultiVesicular Emulsion (MVE) delivery technology which is designed to provide layers of moisture over time. 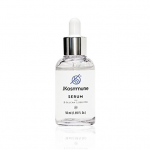 In doing so it is said to leave skin nourished long after application. Ceteareth-20, Cetearyl Alcohol and Cetyl Alcohol are natural fatty acids derived from coconut oil and have the opposite effect of regular alcohols which are drying. They are included for their emollient and emulsifier properties. Similarly, Caprylic/Capric Triglyceride is a coconut and glycerin derivative, high in fatty acids which also enhances emollient and replenishing properties of the cream. 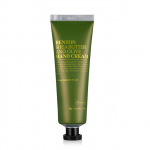 It is able to resist moisture loss by providing a lightweight, non-greasy barrier of lubrication. Hyaluronic acid is naturally present in our bodies. It is able to hold up to 1000 times its own weight in water. 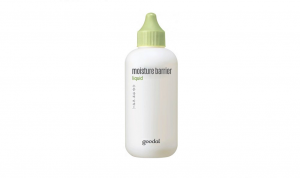 It reinforces the moisture barrier to make skin softer and retain hydration. Glycerin and Dimethicone assist in the prevention of moisture loss. 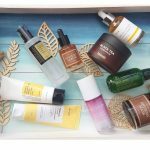 Together, these hydrators can deliver a powerful hit of moisturization. Remaining ingredients are included for their abilities to emulsify, bind, thicken, preserve and adjust pH levels. The cream comes in a large plastic screw top container. There is no spatula included and a large opening which raises risk of contamination. Having said that, I went through a whole jar, using my fingers each time and experienced no problem with the product spoiling in any way. 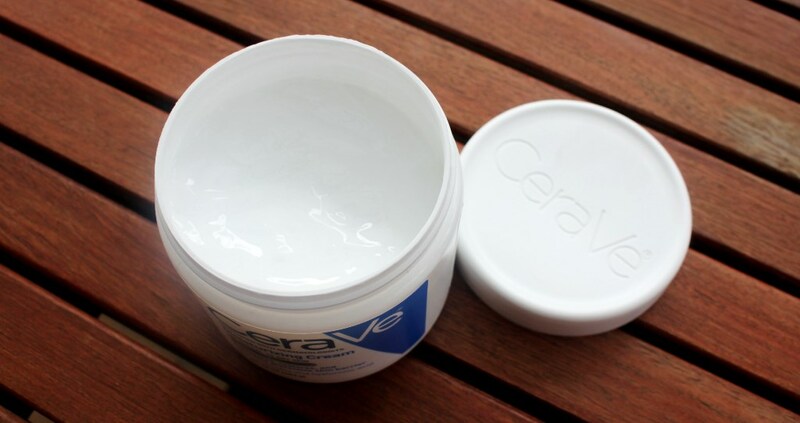 Furthermore, CeraVe offers a choice, selling the product in the screw top lid (as presented here) and also with a pump action dispenser for those concerned about contamination. Most of the ingredients in this cream are considered safe and effective. However, CeraVe regularly uses synthetic parabens to assure product preservation. This is the only red flag raised by the CosDNA report. 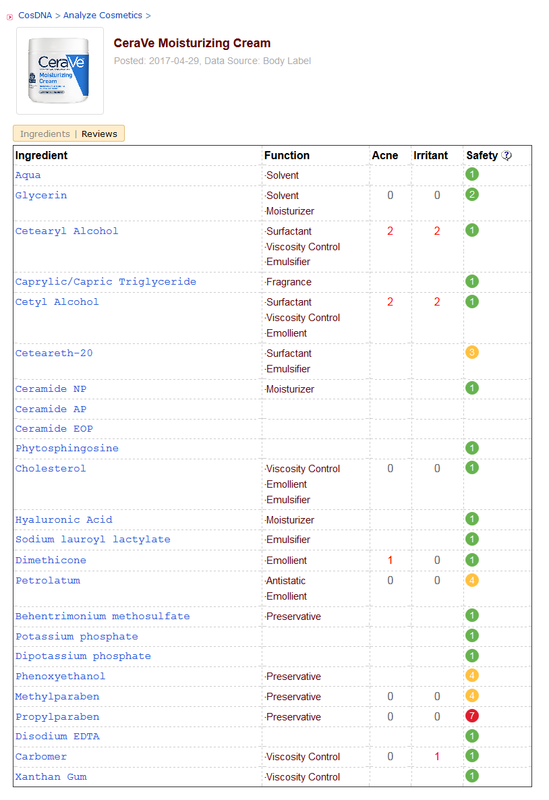 For similar reasons, the EWG Skin Deep Cosmetic Database rates it a fair hazard with a score of 4/10, propylparaben, the only concern. Parabens are a regular and more recently, controversial inclusion in skincare and cosmetic products (used regularly for the last seventy years to prevent bacteria, fungus and microbes from forming). 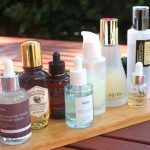 Although inconclusive research is available to prove that they have any detrimental affect on our health, sufficient doubt is raised by science to question their presence in skincare. Apply with fingers to face and body as required. There is pleasantly no scent associated with this cream. The jar is huge (16oz or 453g) and sells for approximately AUD$26.00 and a few dollars more for the optional pump dispenser. 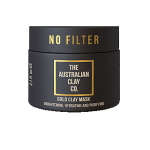 It also comes in a smaller size 56ml) with traditional tube packaging for around AUD$7.00. Unfortunately it is not stocked in Australia and must be purchased online. 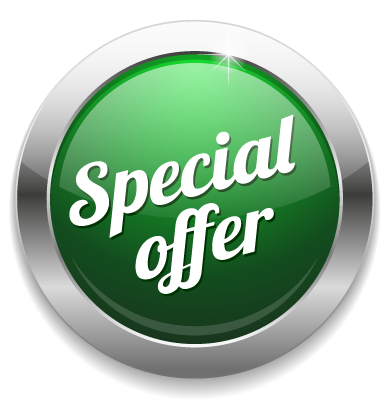 The most economical and reliable site that stocks it which I know of is iHerb. 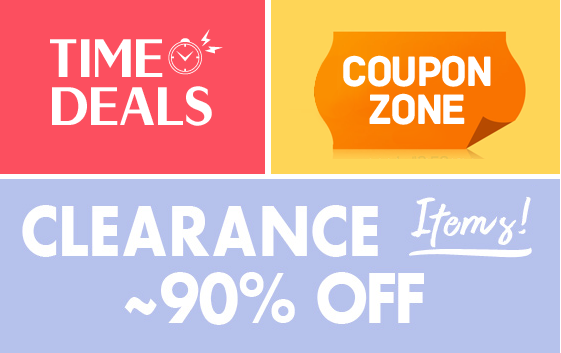 They offer a first order discount and shipping is free and quick for orders over around AUD$50.00. There is no icon on the packaging indicating expiration date. I have seen it stipulated up to 4 years in advance on some internet marketplaces so it is probably safe to assume it lasts up to several years. 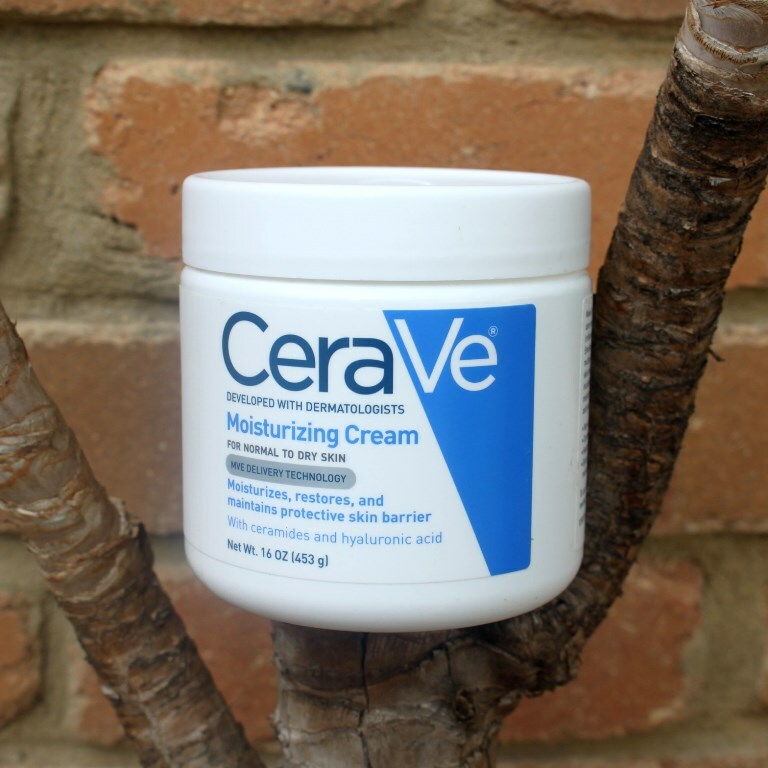 The CeraVe Moisturizing Cream is very well priced and will last a long time since a little goes such a long way. 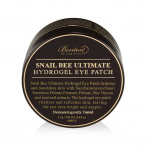 You only need the smallest amount and it spreads so easily and absorbs immediately into your skin. The packaging is very basic. A huge opening encourages you to slop your fingers in to apply, inviting contamination. However, the preservatives (as controversial as parabens may be), appear to do what they should and prevent microbes. 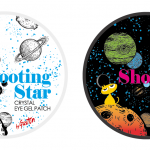 There is an alternative package available for a few extra dollars (AUD$30.00) that includes a pump action dispenser if you’re particularly worried about bacteria. Personally, I have had no issues and will continue to use this one. 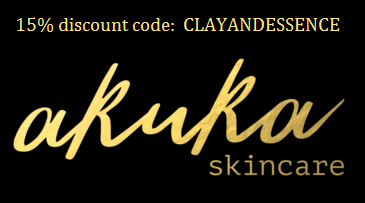 It definitely leaves skin non-greasy as claimed with an immediate feeling of moisturisation. I applied this to dry areas on my face (along the jaw line) and as an after shower full body moisturiser which is my usual means of application. My skin felt soft and hydrated right into the next day. I have used an entire tub over the last several months with great results. 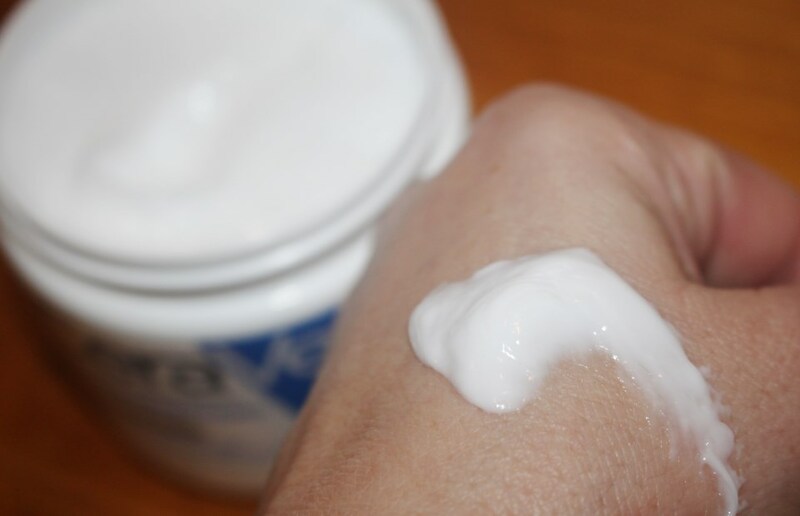 Regarding the eczema claim, as I don’t suffer this condition but my daughter does, I gave her the cream to use over a few weeks to see if it made any difference. Her eczema is concentrated primarily behind her knees. After applying this cream multiple times a day to the affected areas, unfortunately, this product did nothing to reduce the condition although it did offer her temporary relief. Given its certification by the US National Eczema Association I have no doubt that it probably works for some but sadly, not in our case. 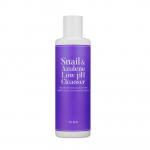 This product is made from a solid collection of ingredients, is well priced and offers excellent hydration and moisturisation, gentle enough to use all over the body and face. Purely as a moisturizing cream, I would totally recommend it. 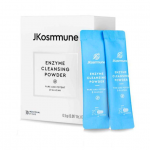 As an eczema treatment, it fell a little short in our case, however, given the research and positive consumer feedback, it may work for others. I enjoyed this cream sufficiently to buy another tub and am happily working my way through it.